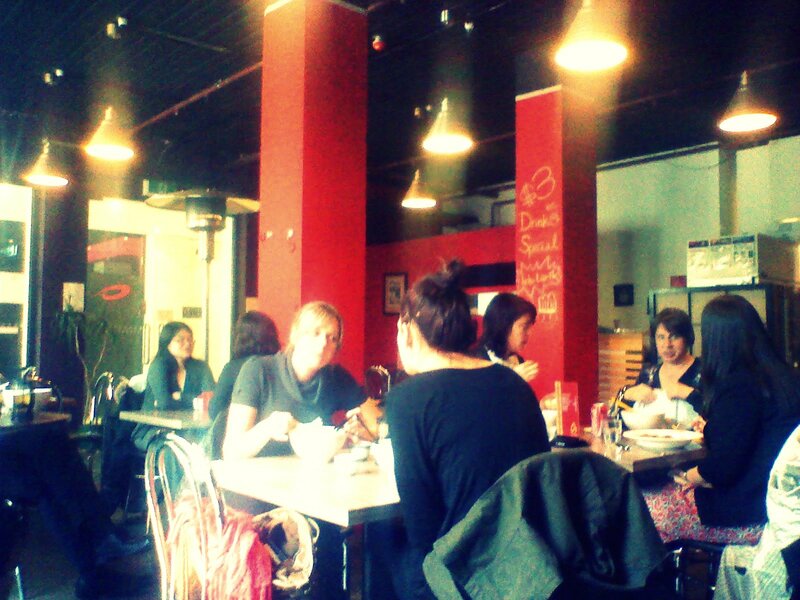 The reviews for Laksa Me were varied, but it seemed like it might be worth a shot. Once inside the realisation dawned that I had been there before a few years back (pre-food blogging) for a work function/lunch. Forgetting you've been somewhere means it can't have been that good or bad! Inside the fit out is modern with exposed services at ceiling level, and big windows letting in plenty of light. It was reasonably busy, but not packed. 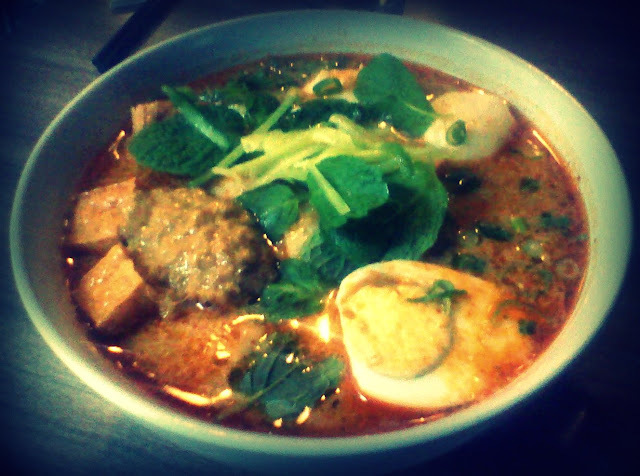 I chose the Laksa Lemak, containg "Fine rice vermicelli top with fish cake, fish dumplings, hard-boiled egg, fried tofu puff, prawns meat, and shredded cucumber in a fragrant mouth watering creamy Laksa stock." It certainly did what it said on the tin, but wasn't super special either. 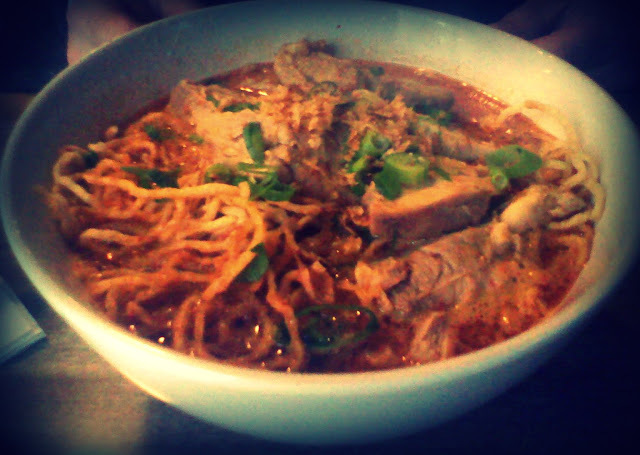 Brendan seemed to enjoy his Khao Soi Gai "Crisp egg noodles topped with chicken in creamy red curry gravy." The service was friendly and pretty efficient, and there was no pressure to rush out once we'd eaten. Both dishes came in at $10. Oooh! Khao Soi! That dish doesn't get enough play here in Melbourne. I'm gonna try this one out during MIFF. Thanks for the tip! Not sure if I've seen it before, it's a Thai dish I guess?